“We are pleased to have purchased the assets of Blockbuster and look forward to building on the nationally recognized Blockbuster brand while improving the experience of delivering entertainment to consumers,” said Tom Cullen, executive vice president for DISH Network. Except for historical information contained herein, the matters set forth in this press release are forward-looking statements. The forward-looking statements set forth above involve a number of risks and uncertainties that could cause actual results to differ materially from any such statement, including the risks and uncertainties discussed in DISH Network Corporation’s Disclosure Regarding Forward-Looking Statements included in its recent filings with the Securities and Exchange Commission, including its annual report on Form 10-K. 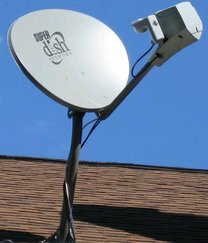 The forward-looking statements speak only as of the date made, and DISH Network Corporation expressly disclaims any obligation to update these forward-looking statements.